To help in the assignment on Travel Photography, here are a few ideas as you prepare for your trips or, having already traveled, your photo essays. Keep in mind this is not an essay but I will provide extended captions. Sports/Games – if there are people around, you will see them playing sports and games. Sports is an integral part of every culture. Horseshoes is a game played throughout rural areas in the United States. 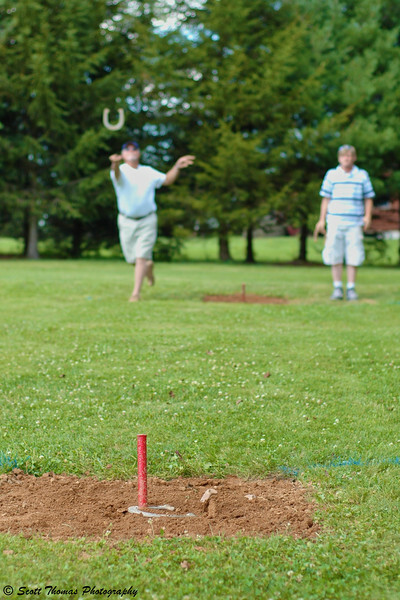 Popular at family gatherings, the game depicts two players or teams of two players each pitching horseshoes with the goal of making a ringer on the stake (the red post in the photo above). A “ringer” is a horseshoe which surrounds the stake. Points are rewarded for ringers and for getting within a horseshoe’s length of the stake. Thus the saying, “Close doesn’t count except in horseshoes” makes sense. The game is fun and competitive and sometimes is accompanied with the drinking of beer for both participants and spectators. Icons – these are places, things and even people who are synonymous with the area you are traveling in. This one should be easy for those of you who where here for my first assignment on Local Landmarks. Remember that one? The United States Capitol in Washington, D.C., is among the most architecturally impressive and symbolically important buildings in the world. It has housed the meeting chambers of the U. S. Senate and the House of Representatives for almost two centuries. Begun in 1793, the Capitol has been built, burnt, rebuilt, extended, and restored; today, it stands as a monument not only to its builders but also to the American people and their government. Known for its themeparks, the Walt Disney World resort in Orlando, Florida has many hotels and restaurants to accommodate their guests. Restaurants range from fast-service to formal attire. 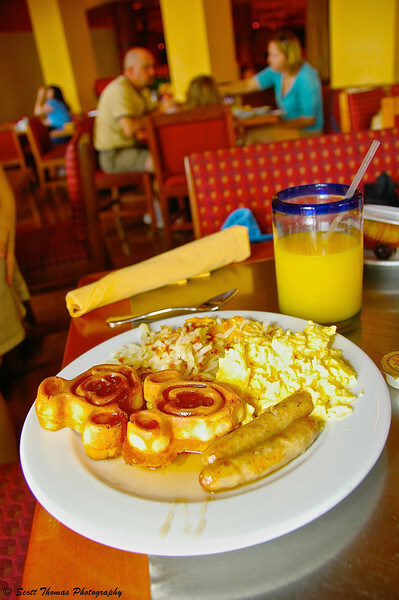 Disney chefs have developed many unique foods for breakfast, lunch and dinner like Mickey Waffles served at buffets and sit down restaurants daily. Certainly brings a smile to a kid of any age. Economy – show how an area makes a living. You can look for markets, stores, offices and other places of business to photograph the places and the people who work there. 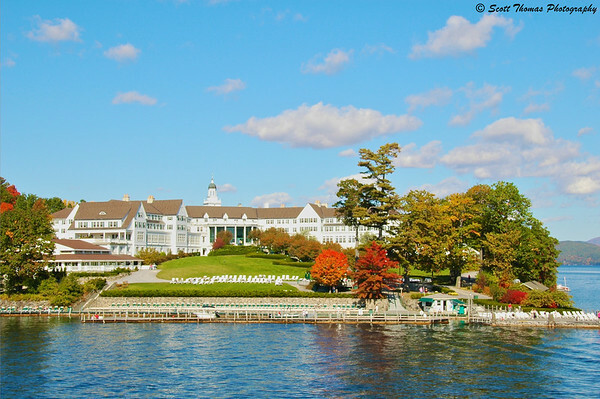 The Sagmore Resort situated on Green Island in Lake George, New York, is a vital part of the local economy since it was built in 1883. The resort employs up to 600 people during the peak summer season and brings in millions of dollars to the towns along Lake George. A recently announced $20 million renovation bodes well for the resort’s future after a couple of tough economic years that saw The Sagmore shut down during the winter months for the first time in its history. 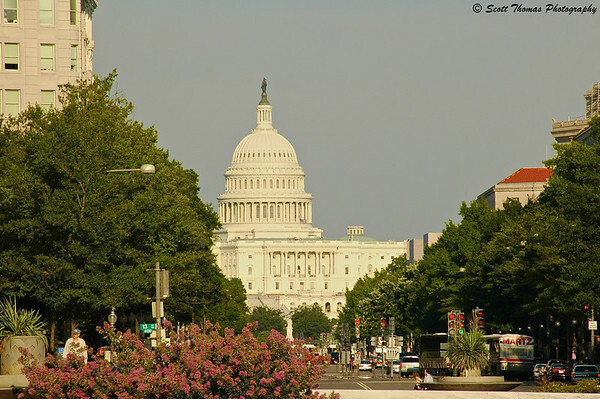 This entry was posted in Photography, Travel and tagged "washington, building, capitol, dc", economy, florida, food, games, icon, new york, orlando, restaurant, Sports, walt disney world. Bookmark the permalink. Ooh, thanks for all the cool ideas! Now there’s a guy who bears watching! Thanks Scott for the neat ideas. The last photo is breathtaking. Thanks for the great examples here! Nice ideas, Scott. I may actually try this one!